Home / Blog / More Dystopia Covers Wanted! 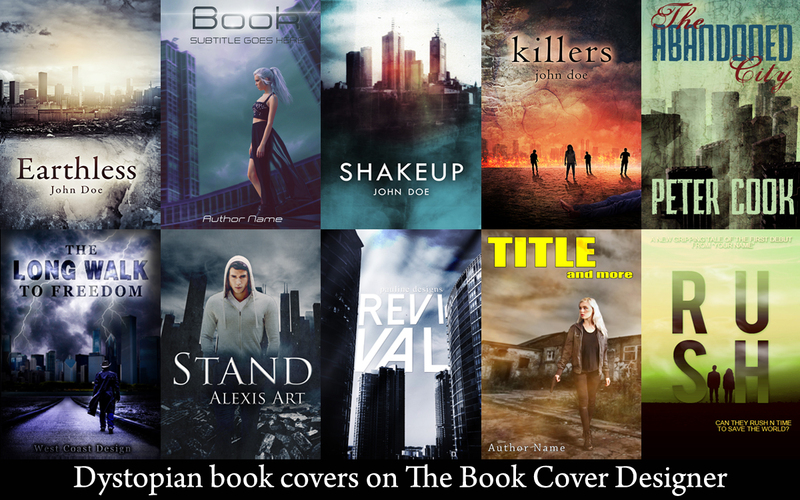 We here at The Book Cover Designer aim to provide the best marketplace so that you can sell your awesome book covers on your own terms and conditions, on your own prices, and most of all – on a user-friendly interface. Which is exactly why we would like to share with you a little secret we’ve learned about your customers. In recent years the Dystopia genre grew much larger than we could have ever imagined. Blockbuster movie franchises and TV shows like The Hunger Games, Divergent, The Maze Runner, Iron Man, The Colony, Oblivion, The Walking Dead, The 100, and so on have sparked an interest towards audiences of all ages, which in turn, has sparked the interest of many authors. Tons of up and coming, already acclaimed or even newbie writers are trying to break into the Dystopia genre, which is why we need more Dystopia/ Post-Apocalyptic/ Disaster book covers on the website. We have gathered a small collection of the most vivid pre-made Dystopia book covers on our website (check the attached image featuring 10 book covers). We need more covers like these! If you’re interested in rebranding your style or if you’re secretly a Dystopia fan, this is your chance to show off your new designs! P. S.: As always, it will take up to 72 hours for us to review your submissions. In case you have submitted more than a few covers at once, we will approve them in batches of 4 or 5 so that our front page won’t be overloaded by only one designer’s creations. Previous post: Massive February SALE! Next post: Here’s A Warm Welcome To Our New Designers!